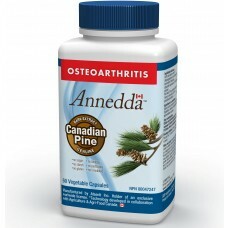 Manufactured according to a unique technology developed in collaboration with Agriculture and Agri-Food Canada under an exclusive worldwide license, Atsenti Annedda® pine bark extract is the base of the Annedda®brand new line of Health Canada-approved natural formulas. Atsenti brings 20 years of experience to its unique position at the intersection of conventional pharmaceuticals and natural health products. Using completely natural methods, Atsenti identifies, isolates and purifies active molecules in medicinal plants. 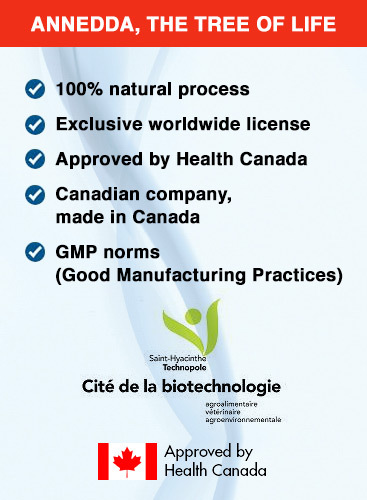 Our main focus is on working with natural antioxidants extracted from the bark of the Canadian pine tree and standardized for proanthocyanidin content. Each year Atsenti processes more than 2,500 tons of raw material to produce the highest quality extracts. Information presented in this document is the result of research by scientists and institutions, as well as a number of independent studies that have been conducted on the subject by the scientific community. Free Shipping Free shipping in Canada and USA for any order more than 60$.